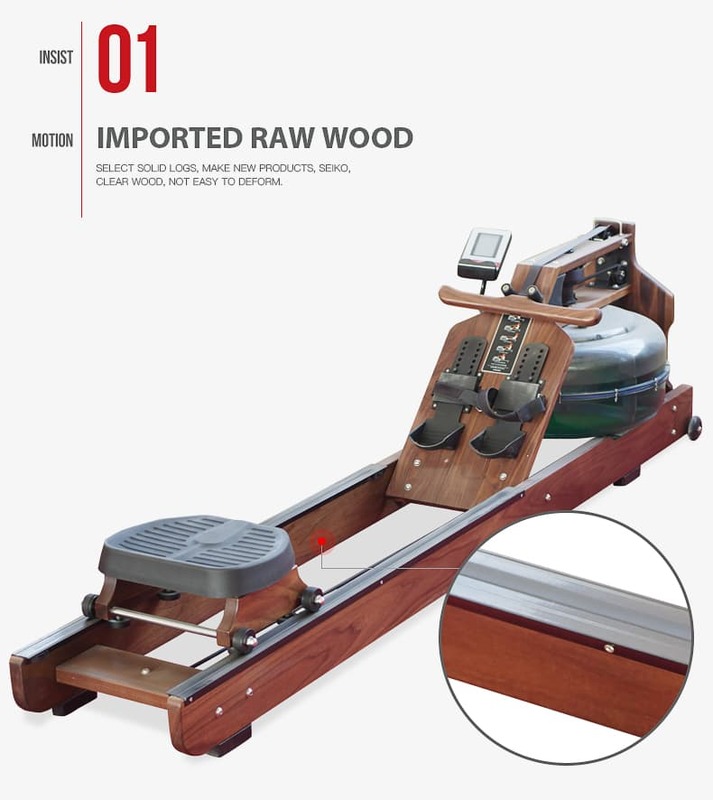 Where to buya waterrower? 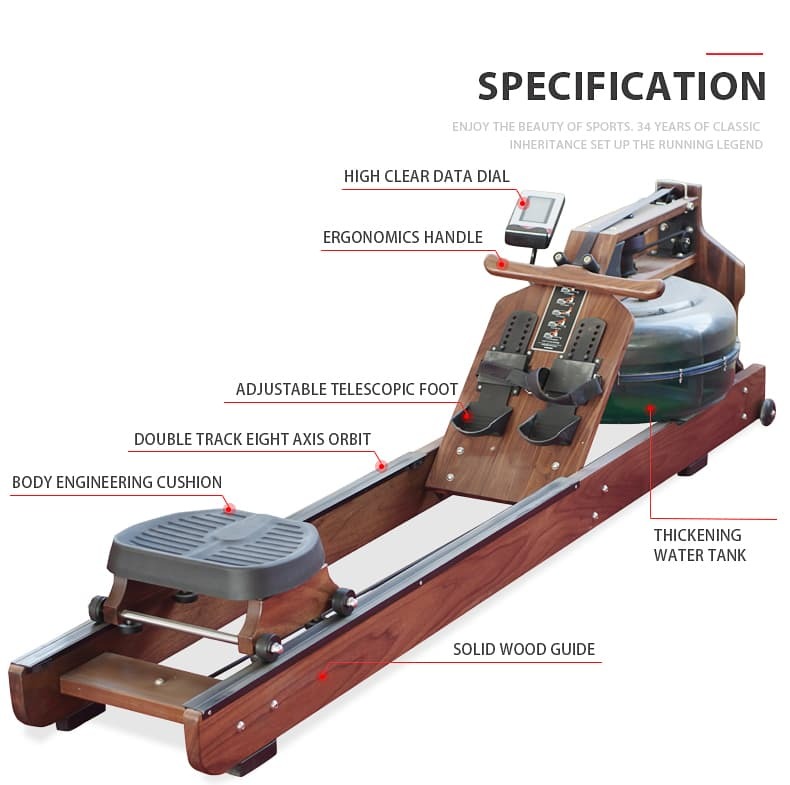 The Water Rower Superfit-9001 has been designed for High Traffic Areas such as Commercial Gyms, Studios, Rehabilitation Clinics, etc. 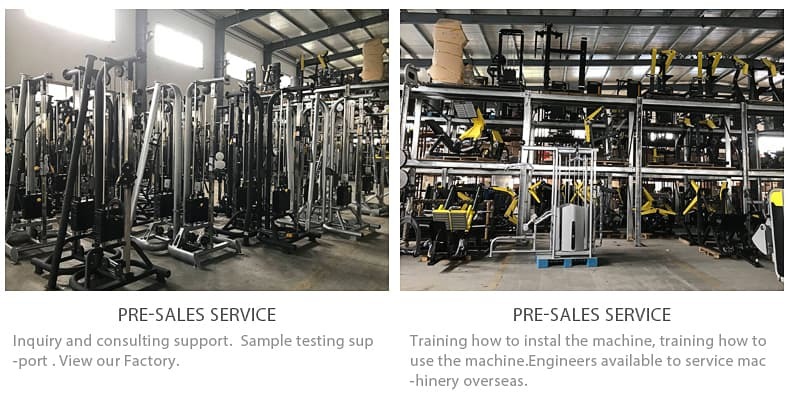 No Used Waterrower Gym Equipment; No Second-hand Waterrower Machine; No Refurbished Waterrower Water Rowing Machine. 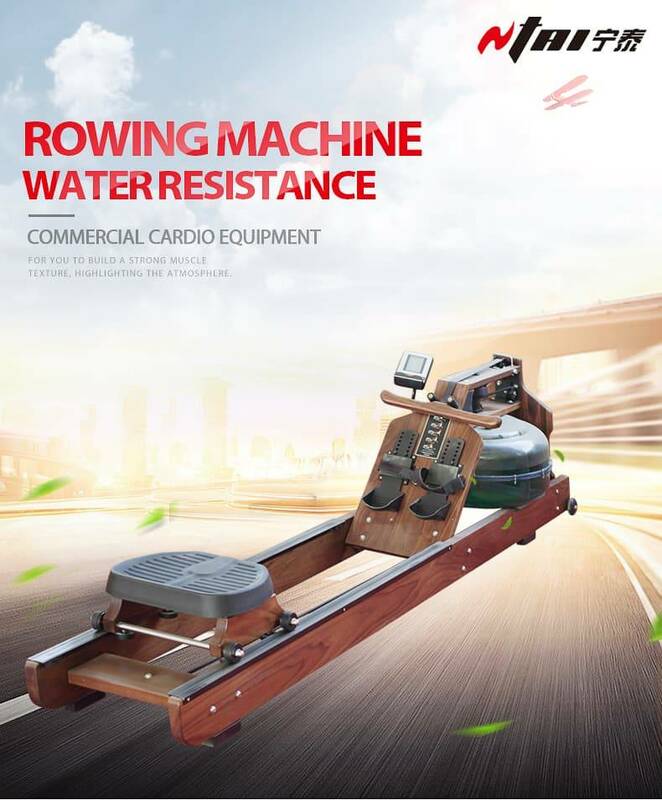 Row your way to fitness with this water rowing machine from Ntaifitness. 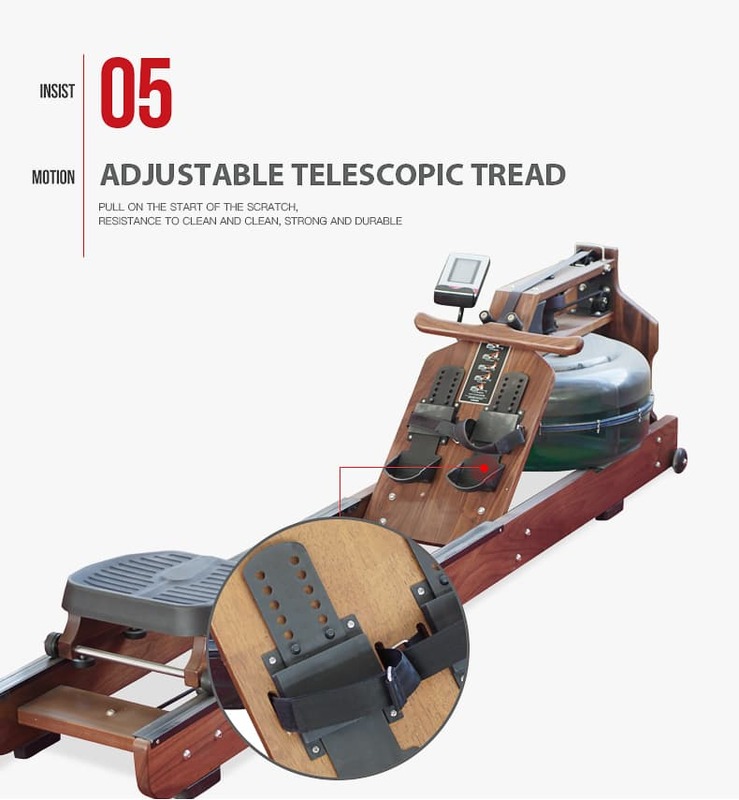 The water rower machine experience while the low noise level and minimal intrusion along with the unique self-regulating resistance with infinite variable allows suits any user without the need for adjustments. 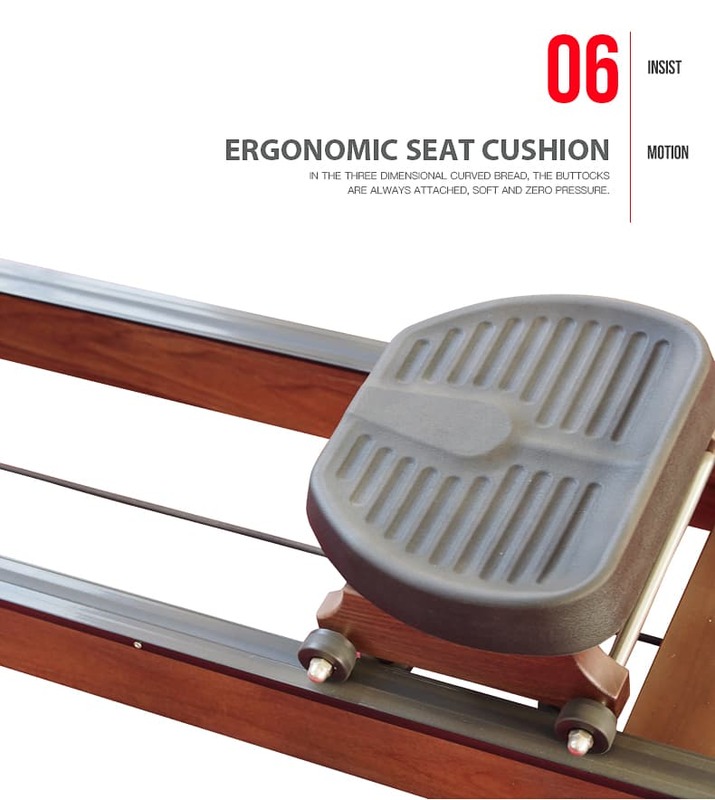 With its no impact and non-load bearing, this gym equipment is also perfect for users With joint problems. 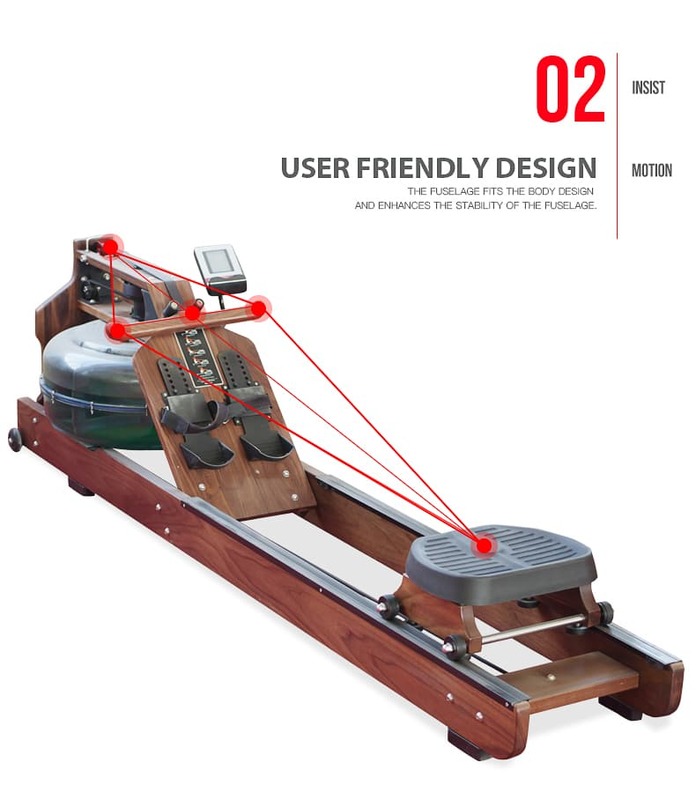 It gives off life-like water rowing experience while the low noise level and minimal intrusion along with the unique self-regulating resistance with infinite variable allows this exerciser to suit any user without the need for adjustments. Exercise all major muscle groups like the arms, legs, back, shoulders, core, etc. 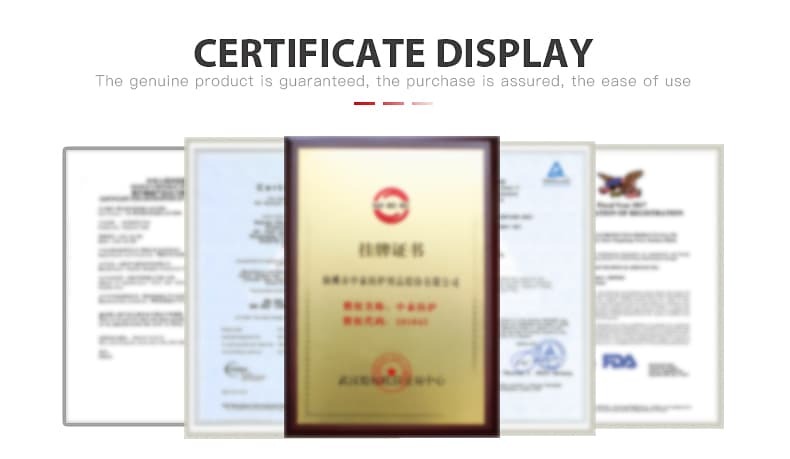 and see how great you're doing with the help of the monitor that comes with the package. It monitors time per 2 or 500 kilometers Watts, calories burned per hour, distance, and the total time of workouts. 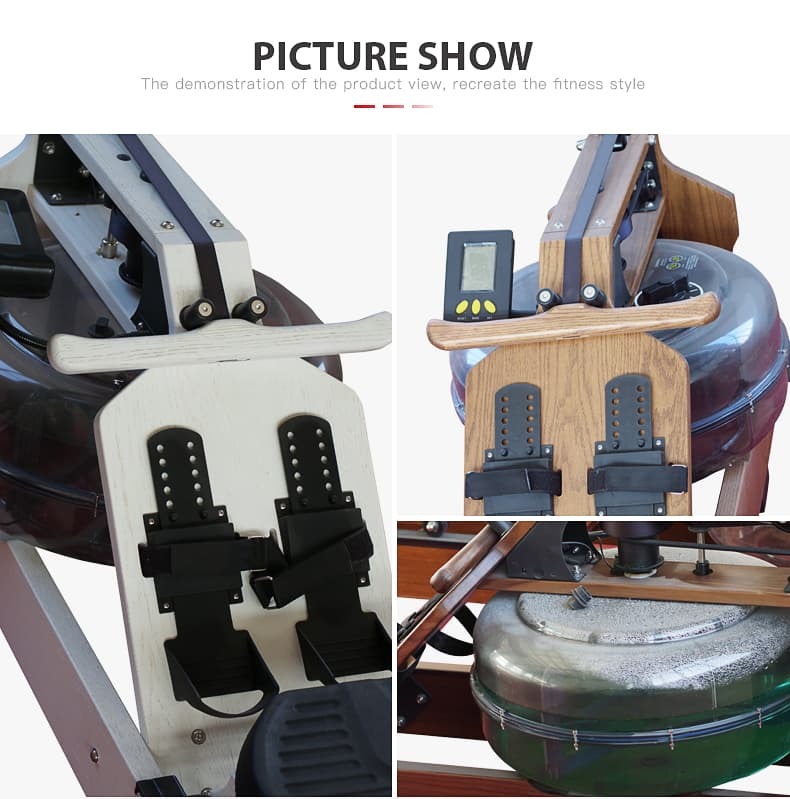 This water rower exercise machine also boasts minimal maintenance with no lubrication needed. You simply need to add purification tab Simply every 3 years. Storage is easy and hassle-free as well. 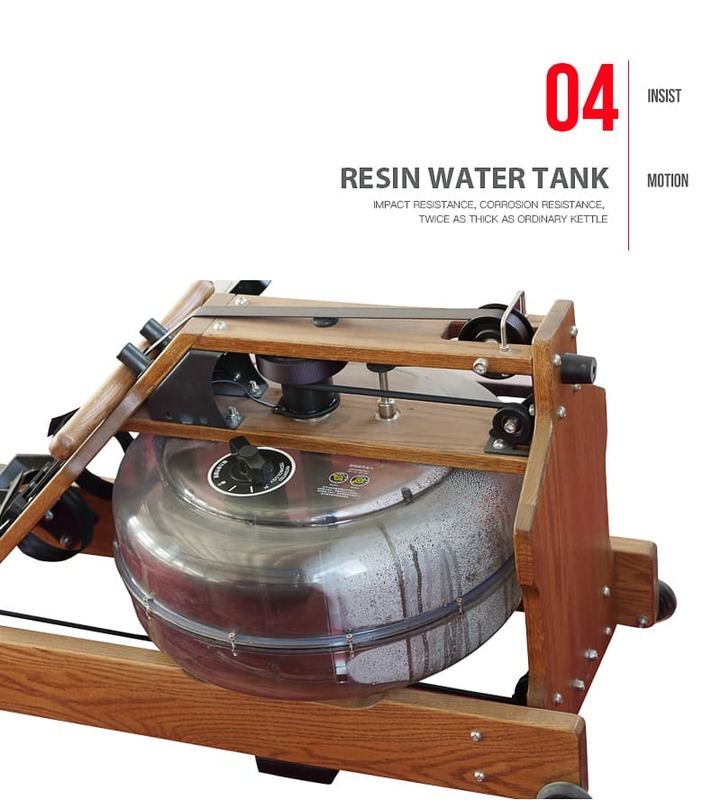 Simply tip the machine vertically and you can easily lean it against a wall or hide it inside a closet. 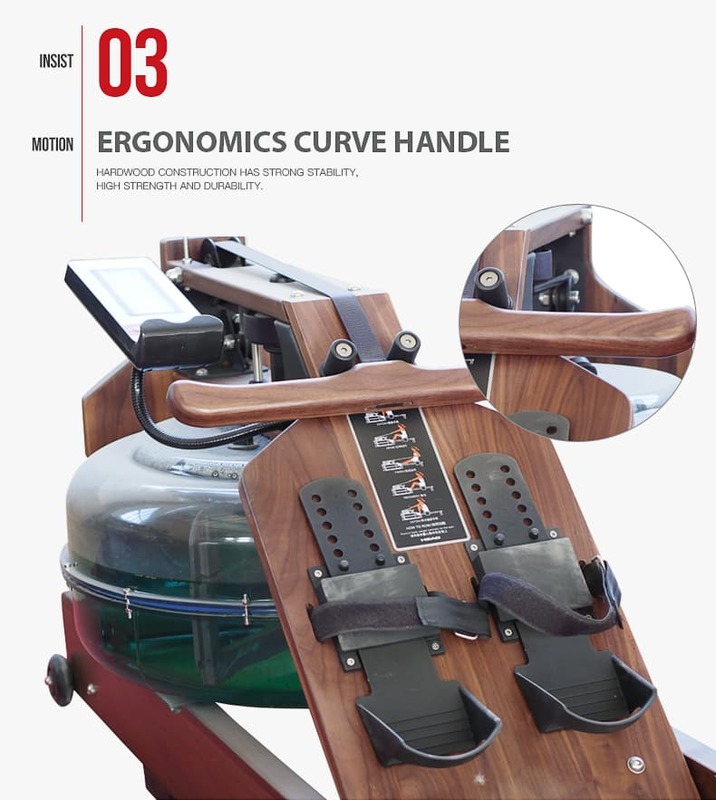 water rower is made from high-quality wood with aluminum monorail with no impact and non-load bearing, making it perfect for users with joint problems. It targets 84 percent of all major muscle areas like the arms, legs, back, shoulders, chest, core, etc.